Panasonic’s entry-level DMC GF6 sees a return to a more conventional control layout and adds several useful features including a touch-sensitive, tilting monitor and easy wireless connectivity with smart-phones via WiFi with NFC capability. The new camera also features a 16-Mpix sensor, but just how well does it perform in our labs? CES has once again provided camera manufacturers with a launch pad for their latest round of consumer models. 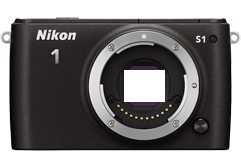 Nikon are no exception and have used the show to debut the latest models in the Nikon 1-Series line-up of interchangeable lens compact cameras. The 1 S1 and J3 feature 10.1- and 14.2-megapixel sensors respectively.